Partnership essential for M.A.F. and S.R.O.S. 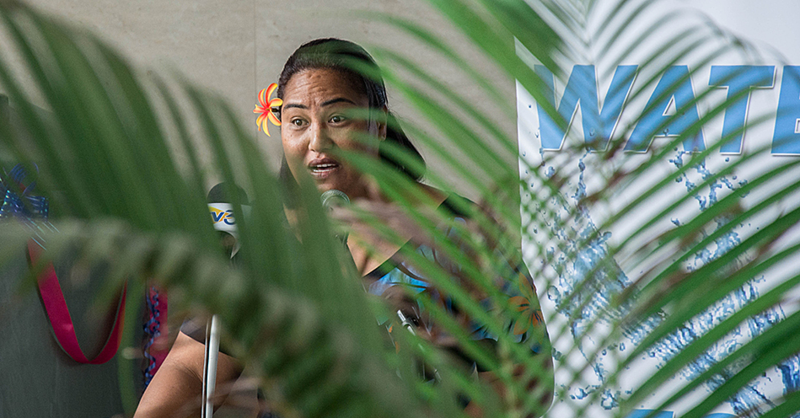 Frozen taro, scientific services and establishing a commercial arm for Scientific Research Organisation of Samoa, with breadfruit flour and avocado oil were some of the issues raised in Parliament last week. 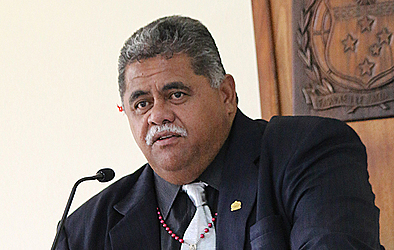 Economic Sector Committee, Deputy Chairman, Fa’alogo Iosefa Sopi, sought the Members of Parliament’s approval of the Committee’s report with recommendations on the S.R.O.S. Annual Report. The Committee called on S.R.O.S. to firmly establish the commercialization of frozen taro and breadfruit products at its high standards. The Committee recommends obtaining an appropriate oven that is capable of preheating these goods before exporting to overseas markets. 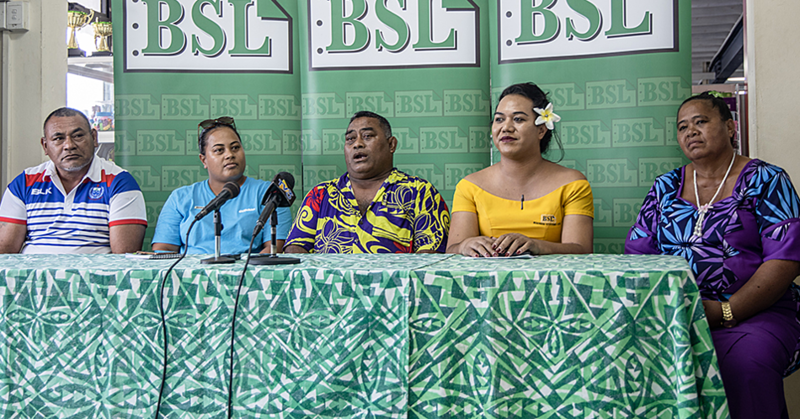 The members of Parliament heard from the Minister of Agriculture and Fisheries Laaulialemalietoa Polataivao Schmidt that S.R.O.S. has developed the pathways for frozen taro and breadfruit products. The organization is on standby to assist any local business to commercially produce. “Also to export these frozen products to New Zealand and Australian markets, especially for frozen breadfruit to both New Zealand and Australia (to bypass the fruit fly biosecurity issue), and frozen taro to Australia (to bypass the leaf blight/ Phytophthora colacasiae biosecurity issue). “Recently S.R.O.S. in partnership with Ministry of Agriculture and Fisheries assisted a local exporter on his 20 foot container of 5-kg bags of frozen taro to Sydney, Australia. “After the successful launching and sale of his 5-kg frozen taro bags, he plans to prepare another 20 foot container, possibly two, of frozen taro and breadfruit for Sydney, Australia, if time and resources permit. “The S.R.O.S. is also exploring a heating oven with the desired heat and appropriate specifications to bake the breadfruit pieces, prior to packaging and freezing,” he said. He noted the current situation, that there was a frozen container sent to Brisbane in May, another container scheduled for New Zealand however the Ministry anticipates to export the frozen taro to other parts of Australia and the United States of America. The Committee further called for S.R.O.S. to work in partnership with the Ministry of Agriculture and Fisheries to motivate farmers to invest in needed products such as coconuts, breadfruit, taro, avocado, ylang ylang, lemon grass and other plants, to ensure the continuous supply of goods for exportation, effectively developing our country and people. “Sustainable supply of sufficient volumes of the desired crop varieties for commercial processing, is a critical activity that our M.A.F. is mandated and better equipped to implement. “The realignment of S.R.O.S. with M.A.F. under the leadership of the Minister of Agriculture and Fisheries post general elections will expedite the formalisation of this partnership and realise sustainable supply of sufficient volumes of the desired crop varieties for commercial processing,” noted the Committee report. 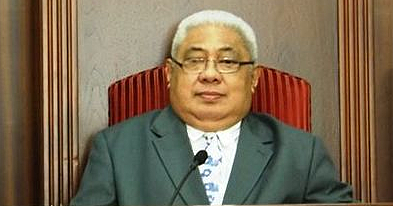 In response, the Minister says a meeting was held with the Savaii Farmers Association and they were urged to work with other farmers in Upolu, to grow the desired crop varieties starting with breadfruit and avocado to establish the long term supply of the said crops for breadfruit flour and avocado oil productions. In terms of raising the profile for S.R.O.S. services and developments within the country to utilize their research and scientific services, the Minister said promotions have been underway. “The S.R.O.S. continues to promote our commercial Technical Services Division on biological and chemical analyses they can provide to the public and private sectors on food and food products, water and environmental samples, regularly on local TV stations. Furthermore S.R.O.S. recently held an Awareness Day event in August 2016, to showcase and promote our product development initiatives and efforts, and plans to hold such events every three years. The S.R.O.S. is a member of the Samoa Association of Manufacturers and Exporters (SAME), and uses their membership to regularly promote developed products and processes, as SAME members are the potential up takers of the developed products and processes. The Minister also noted the coverage of S.R.O.S.’s ongoing activities and potential partnerships have also been reflected in the media (through local and overseas newspapers).